The Model 2110PSE not only transparently passes on Ethernet data, but also feeds on and forwards PoE power to devices such as wireless access points, IP cameras, and VoIP phones. The CopperLink Model 2110 doubles Ethernet distance limitations of 328 feet (100 meters). 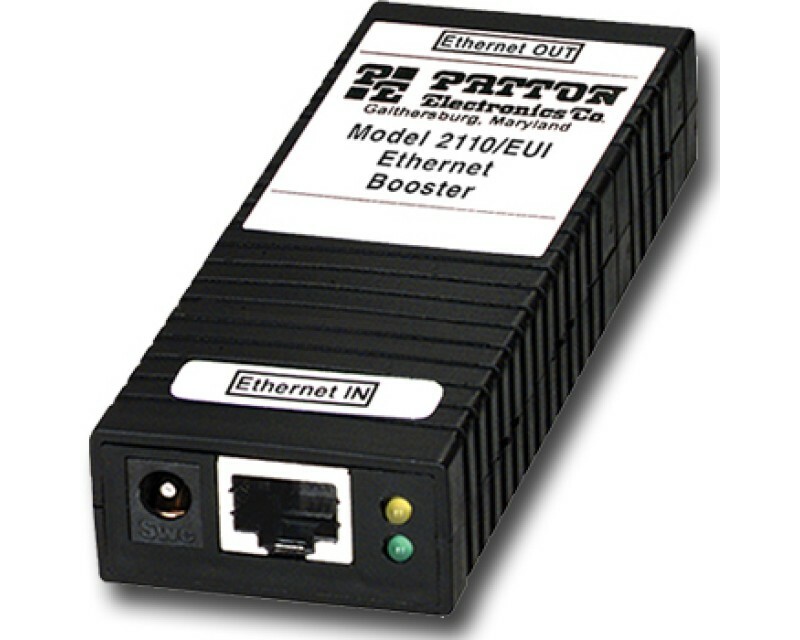 Multiple Model 2110 Ethernet Boosters can be placed in-line to further extend both Ethernet and PoE up to 1,640 ft (500 m), eliminating the need for additional switches, hubs, wireless access points, and expensive fiber installations. The Model 2110 is completely transparent to protocol making them true plug-and-play devices, completely interoperable with any network enabled device. The Model 2110 will not cause latency or degradation on your network connections, ensuring the maximum 100-Mbps full-duplex line rate.